Our pick for the best USB car charger goes to the Anker PowerDrive 2 because it’s small, compact, and delivers 2.4 amps to each port. This means that it is capable of charging two smartphones or two tablets at full speed at the same time. Its reliability is also amongst the best we’ve experienced without any hiccups. Finally, the price for this charger is what takes it over the top, costing less than almost every reliable charger on the market. Two USB ports and a LED light for after dark. 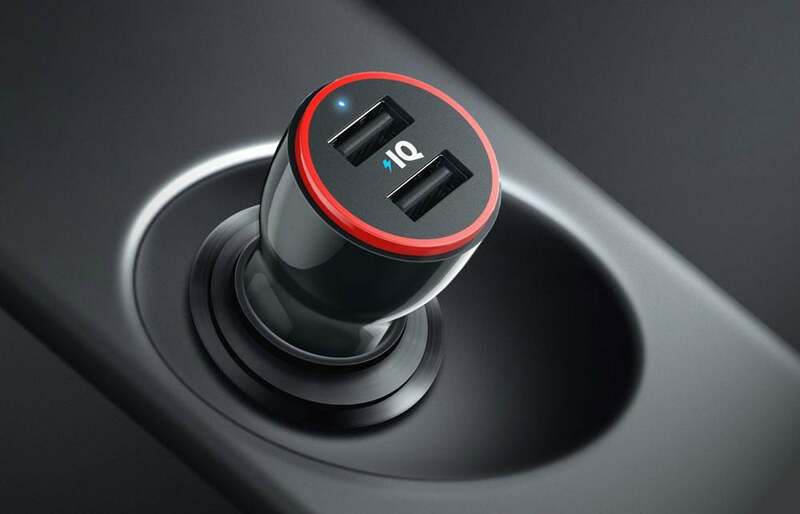 What makes a great USB Car Charger? Charge devices, including phones and tablets, nearly as fast as a wall outlet. Is reliable and works every time you plug in your device. Is small enough to fit in tight spaces. Why the Anker PowerDrive 2 is the best? The Anker PowerDrive 2 charges at speeds that are not far off from what you’d get charging at home from a stationary wall outlet. 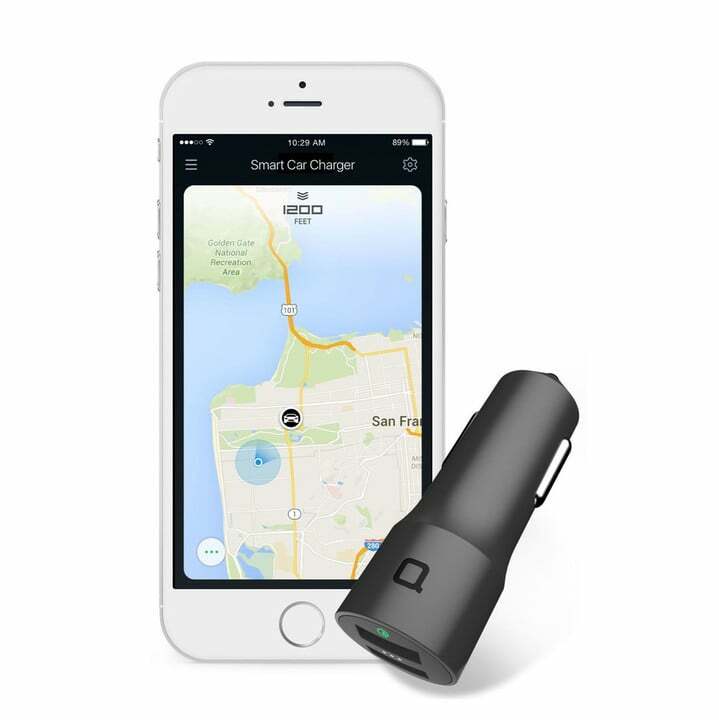 This is by far the most important feature of a car charger since your time in a vehicle is often limited and you’re looking to get as much juice as you can before you get to your destination. But what makes this charger even better is that it can deliver that power to not one, but two devices at the same time, something you don’t see all that often. It’s not big and bulky like some of the other car chargers out there and it is very well built. It will stay put in your 12V DC plug, even if you pull out your USB wires multiple times. Plus, at the current price of less than $10, there’s truly nothing to match all those features at this price. Unless you have a fairly new car, most vehicles don’t have a built-in USB car charger. And for smartphone users, running out of battery is the last thing we want. So what makes this particular car charger so great? It really boils down to a few features, which may not seem like a big deal at first, but over time become more and more valuable – especially as you use them every day. First up is without question charging speed, the most important feature of any USB car charger. If it doesn’t charge up your phone quickly, then you shouldn’t buy it. Luckily the Anker PowerDrive 2 has no problem doing this. Why? Because it can put out up to 2.4 amps, which means it will charge your smartphone or tablet about as quickly as if they were connected to your wall outlet. It will charge your smartphone or tablet about as quickly as if they were connected to your wall outlet. Oh, and you don’t just get one port with this car charger. Instead, you get two, both which can put out 2.4 amps. If you dig around and look at other USB car chargers, you’ll find that most of them can only do this with one port, not two. This is by far what sets the PowerDrive 2 apart from other car chargers. Being able to charge two iPhones at the same time is crucial. My second favorite feature of the PowerDrive 2 car charger is its size. There are some chargers out there that are just way too big and bulky, making them a bit annoying when dealing with. With the PowerDrive 2, you don’t have to worry about that. While it’s unlikely that you’ll take it out of your cigarette lighter much, this car charger does stick out a bit. That’s a good thing simply because it makes finding it easier. Again, it’s compact, but not big and bulky. Another great feature is not something you’ll appreciate at first. But after a while, it will grow on you. The glowing LED indicator ring makes the charger easy to find at night or if your car is in a poorly lit garage. It’s also great at letting you know that your device is being charged. Again, this may not seem like a big deal to you at first. But trust me, you’ll come to appreciate it after you live with this car charger for a while. Here’s the thing: car chargers should just work. They shouldn’t be complex, and they should charge your iPhone or iPad as quickly as possible. It sounds simple, I know, but you’d be surprised at how many of them can’t even do that right, let alone be reliable. Speaking of reliable, I’ve been using the PowerDrive 2 for over a year now and have had absolutely no problems. It charges correctly every time. That’s more than enough for us to highly recommend this charger. On Amazon, more than 6,000 users have given the PowerDrive 2 a 4.7 out of 5 stars, complimenting its fast charging speed and its reliability, with one user saying “This Anker PowerDrive+2 is the most powerful car charger I’ve seen thus far.” Even the few folks who have encountered some problems with the PowerDrive 2 say that Anker was able to remedy the issue within just a few days, which highlights the company’s great customer service. This charger offers two ports, with one of them being a Quick Charge 2.0 port and the other offering a max charging speed for 2.4 amps. This is great if one of your devices supports quick charging. It also has a great called car location tracking. With a free app you can locate your car right from your phone. If you want to pay a few extra bucks a month, it will also track your mileage and your cars battery health. 4.8A / 24w car charger with 2 reversible USB charging ports. Use the app to find where you parked your car. Actively monitors your car's battery and notifies you when the battery is underperforming. Remembers your drives and generates your mileage log basic. 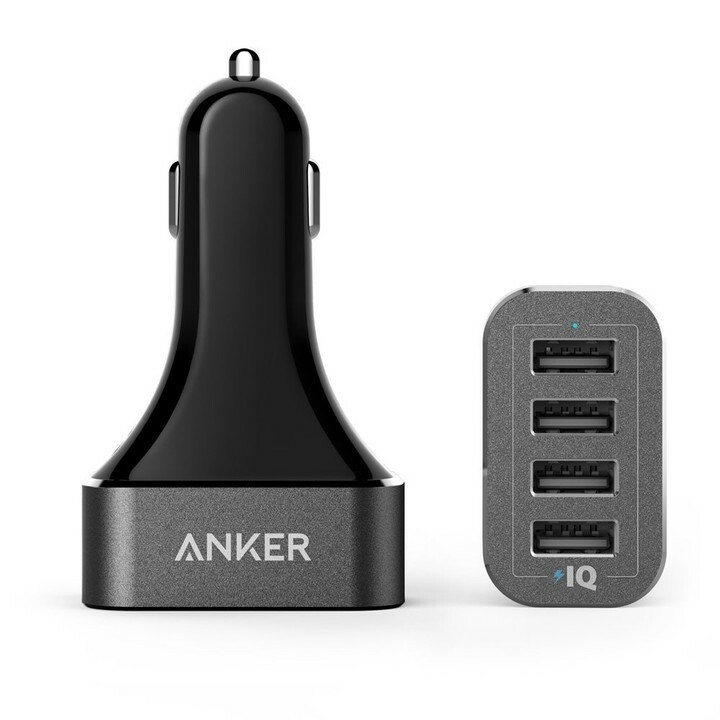 If you want more ports because you need to charge more devices, Anker’s 48W 4-Port USB Car Charger is basically two of the Powerdrive 2’s merged together. It delivers up to 2.4 amps per port which means you can charge up to four smartphones or full-size tablets at full speed. Detects your device to deliver its fastest possible charge speed up to 2.4 amps per port or 9.6 amps overall. 48 watts lets you charge up to four tablets, smartphones or other devices at full speed simultaneously. 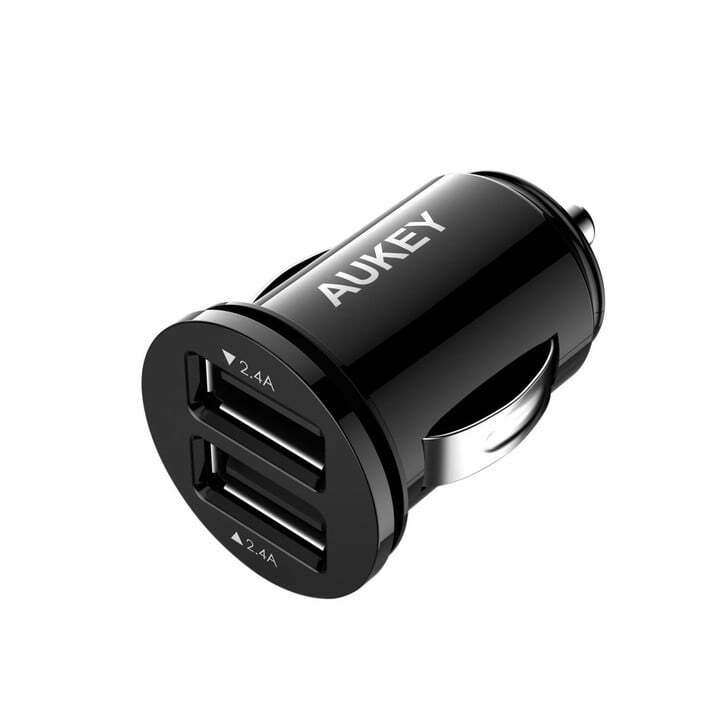 This is a great USB car charger for someone looking for the smallest possible car charger. It sits flush with your cigarette lighter, letting you close the door on top of it but it also lacks a glowing LED light. If the light isn’t a big deal to you, this is also a great choice. Two USB charging ports sit flush to the edge of the outlet. Charge two devices at full speed with 5V 2.4A. 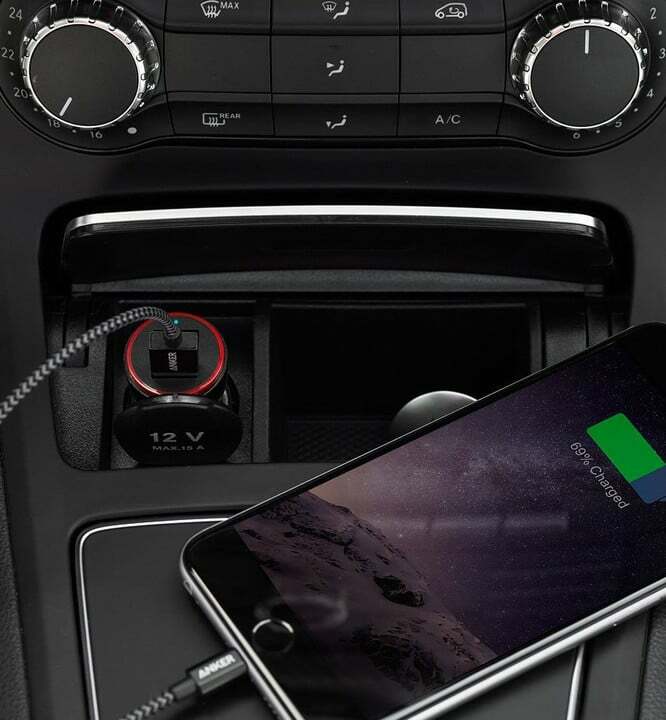 This USB Car Charger has a built-in LCD display and a pivoting head. Unforuntely only one of the ports can put out 2.4 amps and the overall unit is pretty big and bulky. 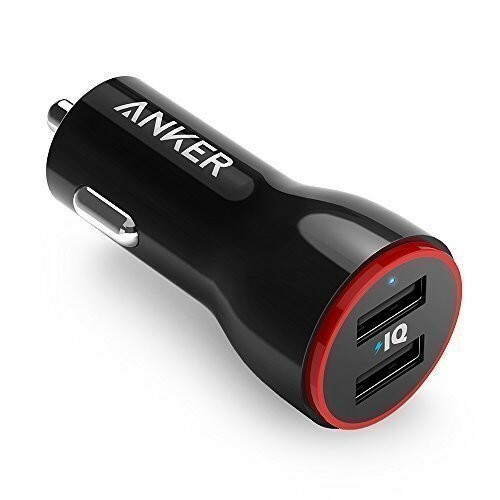 This USB Car Charger as a built-in FM radio transmitter, but only one of its ports puts out more 3.1 amps. The other one, unfortunately, is only 1 amp which means you'll get incredibly slow charge times. This charger has some similarities to our recommended car charger in that it has two ports that put out 2.4 amps each and a glowing LED indicator. However, it's bigger than our pick which makes us default to the Anker since they're similar in price.